Bang Pha-In Summer palace, Wat Yai Chaimongkol. 08.00am. I’ll pick you up from your hotel lobby. Drive to Ayutthaya. 09.30am Bang Pha-In Summer palace, wander around the peaceful palace grounds. 11.00am Wat Yai Chaimongkol. The great victory stupa, 62 meters high and a landmark of Ayutthaya. 12.00pm Lunch. There are a selection of amazing riverside restaurants over looking the Chao Phraya to choose from. Please let me know if you are vegetarians or any special food requirements. 13.00am Wat Mahathat, the Buddha image enclosed in the tree. 14.00pm Wat Sri Sanphet is a restored temple ruin. 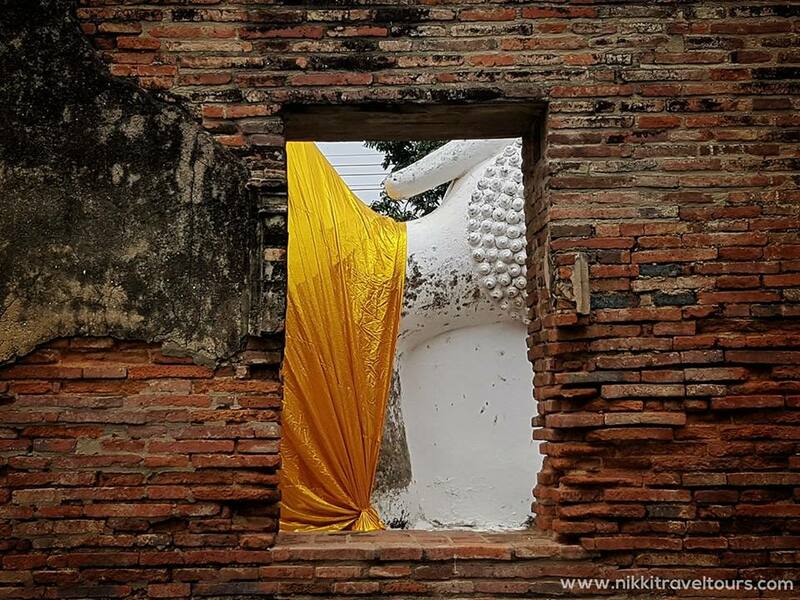 15.00pm Wat Chai Watthanaram, One of the most visited historical sites of Ayutthaya. A sightseeing tour along the inner old city. En Route you see many magnificent temples and ruins. One hour and a half drive back to Bangkok. Some evening traffic to be expected in Bangkok. 18.00pm Drop off at your hotel or any place you require. Wat Mahathat, the Buddha image enclosed in the tree. Sightseeing tour along the inner old city. - All tickets and fees mentioned on the tour. - 1 English speaking guide licensed. - 1 Private Air conditioned Vehicle with professional driver licensed+ Refreshments (cold water and cold towels) + Fuel + Toll way + Parking fees. - Optional Programs such as elephant riding. 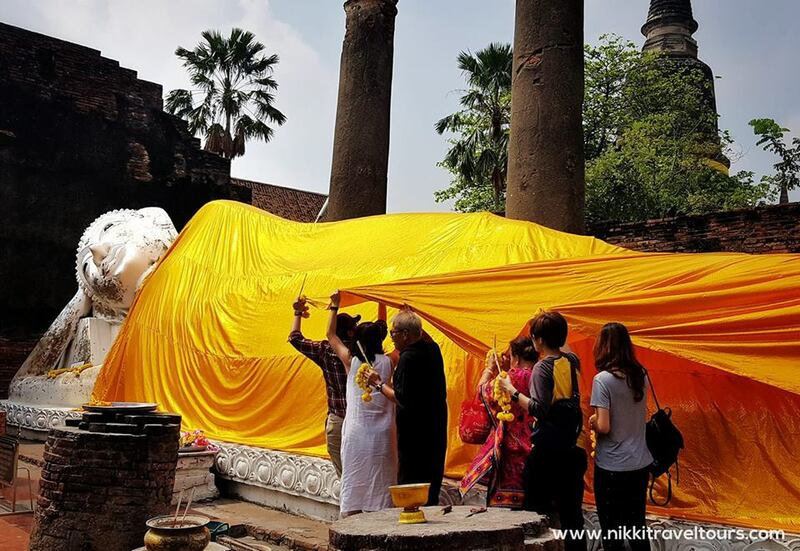 Tour information for Ayutthaya private tours. Ayutthaya river boat, temple dress code, transport and weather. Remarks : If over 8 persons please ask : The tour service for 10 hours. If significantly over 10hrs, Overtime hours for guide + mini bus total is 550 baht / hour. - The deposit is 2500THB per group. The deposit is non-refundable. - Recommend to have breakfast or snack before leaving from the hotel as we will have lunch until later. - We will walk around 1 hour in Bang Pa In Summer Palace. But there is a golf car for rent 400THB/1 golf car/1hour, 100THB for the next hour. Roughly we will need only 1 hour. 4 persons maximum on 1 golf car. Driving licenced is required.